Updates to William A's profile since your last visit are highlighted in yellow. Steven Martin, 42, Stephanie Martin ,38 and Lianna Martin,16 Jr.at Mary Carroll now. All of my kids More…have attened Mary Carroll. Joined the US Marines 1 week after graduation. Served for 4 years,I served in Viet Nam and during the Missles Of October off the cost of Cuba. I went to Del Mar College and worked at the Corpus Christi Army Depot 36 years, retired 2002. Served as a Del Mar College Regent for 6 years. I am now a Property Manager for Pacesetter Steel Properties.I am also a realtor for Coldwell Banker. Carroll was so far from where I lived, I hitchhiked the first few days until I met people with cars. Far East, Viet Nam, Japan, Hong Kong, Thiwan, Philippine, and others. William A Martin has a birthday today. William A Martin posted a message. Happy Birthday ?? Judy! !Have a great one?????? Nita Jane Wilkerson Searcy posted a message on William A Martin's Profile. 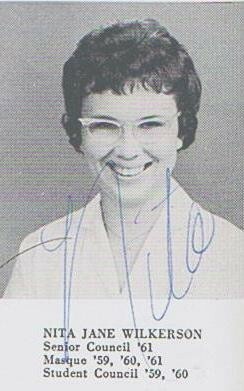 William A Martin added a comment on Nita Jane Wilkerson Searcy's Profile. Nita Jane Wilkerson Searcy posted a message on William A Martin's Profile. New comment added. William A Martin has a birthday today. New comment added. William A Martin updated his profile. View. William A Martin added a photo to his profile gallery.